Heart of the Race is a powerful corrective to a version of Britain’s history from which black women have long been excluded. It reclaims and records black women’s place in that history, documenting their day-to-day struggles, their experiences of education, work and health care, and the personal and political struggles they have waged to preserve a sense of identity and community. First published in 1985 and winner of the Martin Luther King Memorial Prize that year, Heart of the Race is a testimony to the collective experience of black women in Britain, and their relationship to the British state throughout its long history of slavery, empire and colonialism. 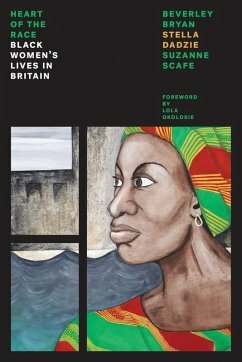 This new edition includes an introduction by Lola Okolosie and an interview with the authors, chaired by Heidi Mirza, focusing on the impact of their book since publication, and its continuing relevance today. Dieser Download kann aus rechtlichen Gründen nur mit Rechnungsadresse in A, B, BG, CY, CZ, D, DK, EW, E, FIN, F, GB, GR ausgeliefert werden.